DJ, raconteur, author, producer, broadcaster and Fun Lovin’ Criminal, Huey Morgan is back at Band on the Wall to throw another massive NYC-style block party, this time bringing along very special guests, London turntablist collective Scratch Perverts! As the whisky-soaked Lower East Side voice of BBC 6 Music and Radio 2, he’s the man who joins the dots between funk, soul, disco, classic hip hop and rock’n’roll. As a broadcaster, he’s the man who tells laugh-out-loud stories and talks to the listener as if pulled up on a bar stool next to them. 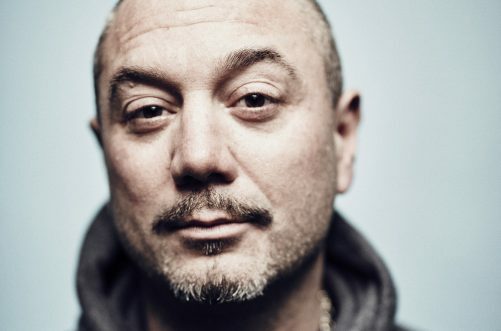 And as a musician, he’s the frontman of legendary 90s outfit Fun Lovin’ Criminals, a funk-fried indie outfit that broke big worldwide selling over 10 million records, recently celebrating their 20th anniversary. His top-ranked podcast, ‘Huey: Off The Record’ has hosted Ricky Gervais, Arthur Baker and DJ Premier since launching in May 2017. Now after countless DJ gigs across the globe, he’s focused his DJ talent on his NYC Block Party: imagine Huey soundtracking cult Netflix show The Get Down and you’re close, as funk, soul, disco and hip hop jams get thrown into the mix battle style!